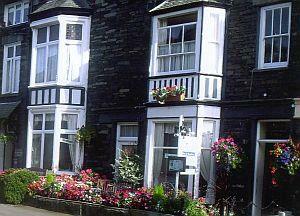 Recently refurbished, 5 rooms with new en suites. Full English breakfast included. Flexible with regard to arrival times. Cycle store available. Free Wi-fi and free parking nearby. 2 Cambridge Villas sometimes limits bookings to 3 or more days. Minimum 2 night stay at weekends. Double/twin sometimes limits bookings to 3 or more days. From M6 jct 36 follow A590/A591 to Ambleside. Based in the centre of the village, with main bus stops behind the property only a short walk away.